According to new data published by Kantar Worldpanel, Android is continuing to chew away at Apple’s iOS market share in the United States and around the globe. 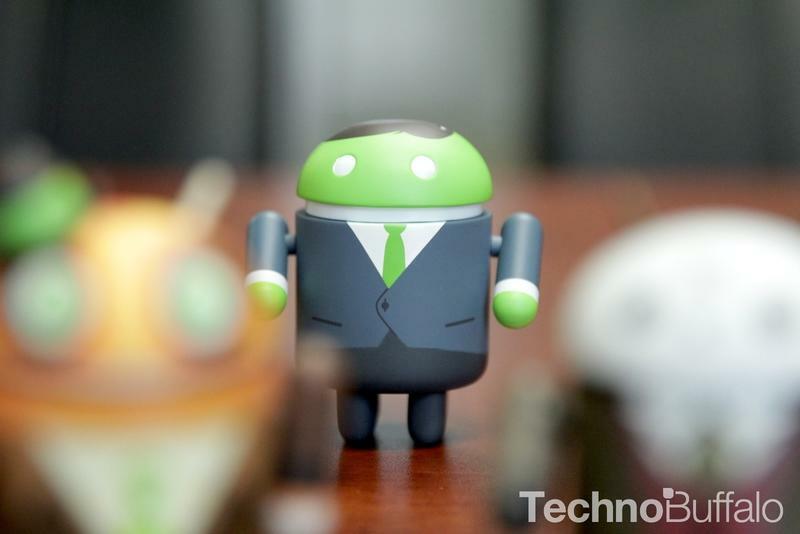 The firm found that Android has a 50.6 percent grip on the U.S. smartphone market in the three-month period ended December 2013, up 4.4 percentage points, while Apple’s iOS marketshare fell 5.8 percentage points to 43.9 percent. Keep in mind, however, according to a December report from comScore, Apple is still king of the overall U.S. smartphone market when it comes to phones sold by a single manufacturer. Apple’s market share also decreased in Great Britain (down 2.5 percentage points to 29.9 percent), while Android increased half a percentage point to a 54.9 percent share. 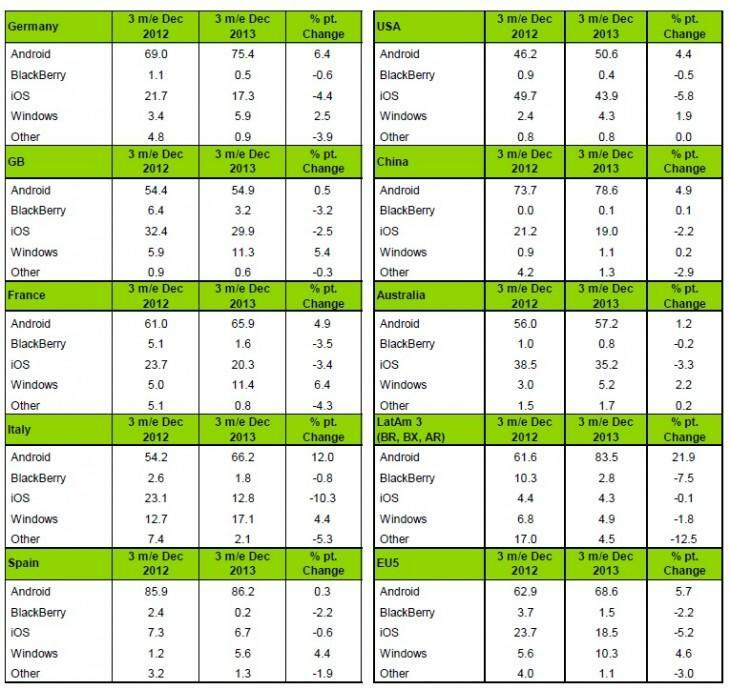 In China, Android had a 78.6 percent share, up 4.9 percentage points, while Apple lost 2.2 percentage points and fell to a 19 percent share. Keep in mind that it recently secured a deal to sell the iPhone on the world’s largest wireless carrier, China Mobile, so that trend could reverse. In Europe’s five largest wireless markets combined, (U.K., Germany, France, Italy and Spain), iOS dropped off 5.2 percentage points to an 18.5 percent share, while Android gained 5.7 percentage points to a 68.6 percent share. iOS also saw big losses in Spain, Italy, Australia, France and Germany. “Android finished 2013 strongly, showing year-on-year share growth across 12 major global markets including Europe, USA, Latin America, China and Japan,” Kantar’s strategic insight director Dominic Sunnebo said. “Apple has lost share in most countries compared with this time last year, but importantly it has held strong shares in key markets including 43.9% in USA, 29.9% in Great Britain and 19.0% in China.” Sunnebo also noted that Windows Phone has maintained double digit market share in Europe for more than three months.